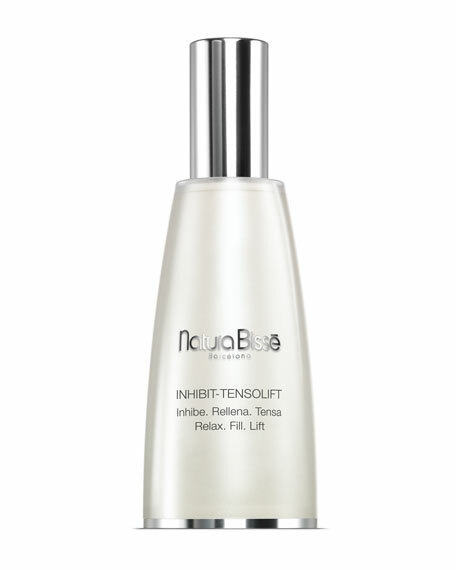 Natura Bisse Inhibit-Tensolift, 2 oz. The most effective alternative to cosmetic injections. 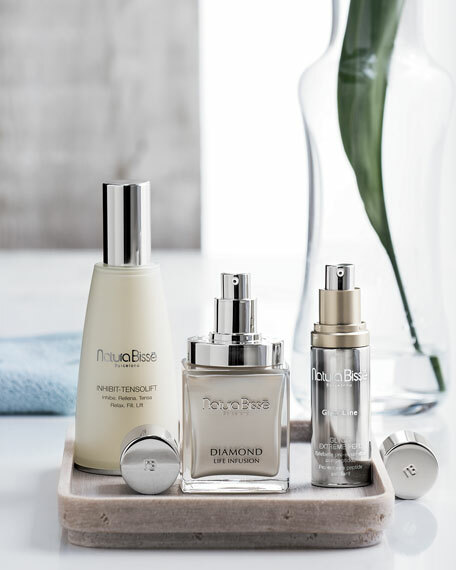 A revolutionary serum able to relax and fill expression lines and wrinkles, and which lifting effect can be appreciated after the first application. Thanks to its extraordinary formula based on high concentrations of Octamioxyl, it has the ability to inhibit facial contractions while helping prevent the formation of new fine lines. It also includes Kombuchka, amino acids and hyaluronic acid to prevent wrinkles, plump skin and provide a remarkable volumizing effect. For: All skin types, 40+. Apply it morning and/or night, especially on wrinkles (forehead, between your brows, eye contour, smile lines...), massaging in an upward motion to help absorption. RELAX: To enhance the penetration, use the index and middle fingers to spread open the wrinkle area. Use a micro circular massage, in a clockwise motion over the area. FILL: Extend the product to the surrounding surface areas. LIFT: Use your fingers to apply brisk upward lifting motions to help circulation and increase firmness. For in-store inquiries, use sku #248842.